To provide the city of Exeter and its surrounding areas with a ‘Civic Trust’ that will promote our community and pursue the vision of people who live and work there. The Foundation will act as a fundraising body with a commitment to the future prosperity of Greater Exeter, and also as a vehicle for promoting collective civic pride. The official club charity of the Exeter Chiefs, the Exeter Chiefs Foundation was set up in 2011 to help promote the local community and the vision of people who live and work there. 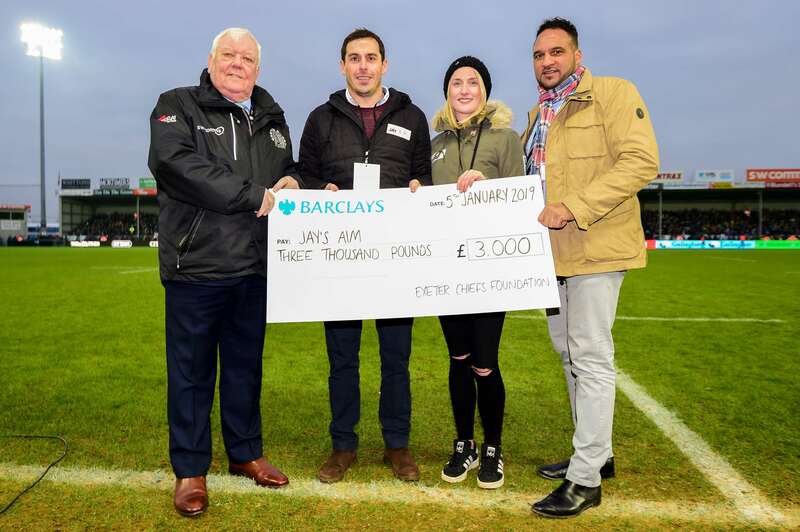 In February 2017, the Exeter Chiefs Foundation celebrated reaching the fantastic milestone of £1m raised for charities and organisations across Exeter and the wider area. 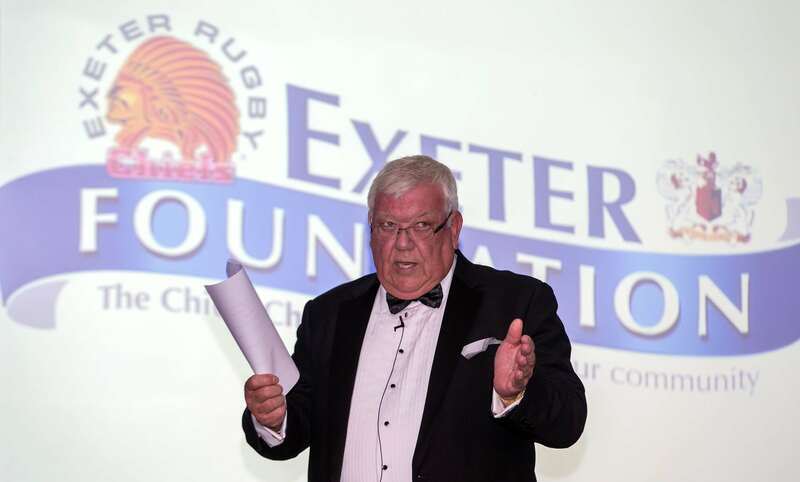 Put together back by three rugby directors and three local businessmen, the Exeter Foundation is a city-based charity that has been working tirelessly to bring future prosperity to the people in and around the Devon city. 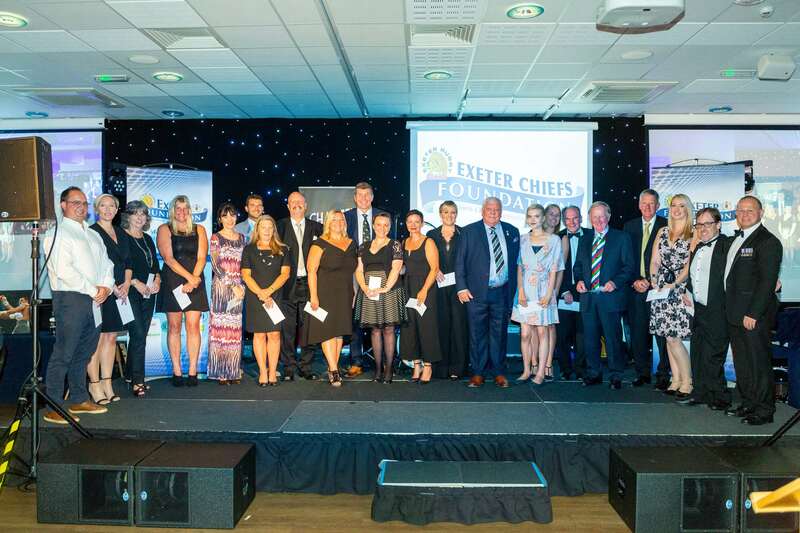 And since its inception the Exeter Chiefs Foundation has helped to directly fund over 75 different charities and organisations in a series of wide-ranging projects and schemes. Headed up by chairman Tony Rowe OBE and fellow trustees Marc Astley, David Bird, Keiron Northcott, Alan Quantick and celebrity chef Michael Caines MBE, they have help to oversee the fundraising exploits of countless people locally. 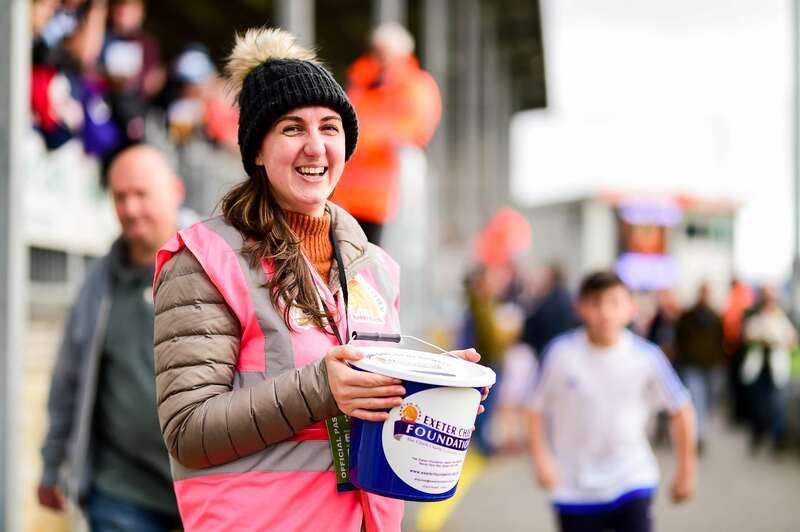 From match-day collections on Exeter Chiefs match-days through to Big Walks, Cycle Challenges, Charity Dinners and varying events devised by members of the Foundation XV, it has resulted in the £1m milestone being reached. Not that the hard work stops here – already plans are afoot to target doubling this figure with even more fundraising exploits – all of which will continue to help the many charities and organisations in and around Exeter. “To reach the £1m milestone is a huge achievement for the Exeter Chiefs Foundation,” said Tony Rowe OBE. “However, the hard work doesn’t stop here. As a board of trustees we are fully committed to continuing the excellent fundraising work that has so far been done. “We have been lucky to see first-hand just what a difference even the smallest sum of money can make to so many people locally. Helping to improve the lives of Exeter people is our number one priority and we are delighted with the response the public have given to the Exeter Chiefs Foundation over the years. Funding over the years through the Exeter Chiefs Foundation has to date helped to purchase eight different vehicles, including a boat, six different play parks for children with special needs, an outdoor learning centre, an IT hub, specialist equipment for projects around the city, wheelchairs for the Exeter Hawks Wheelchair Rugby team, buddy chairs for Bolham Ward at the Royal Devon & Exeter Hospital and the refurbishing of two separate hydrotherapy pools. In 2014, the Exeter Chiefs Foundation also gave the first £50,000 Legacy Grant Fund to WESC Foundation to help adapt two new transition houses in Exeter for visually impaired young people.